Keep your Fox Body door latches properly secured with a 1979-1993 Mustang door latch screw kit! OEM Hardware isn't always the easiest to find. It can become lost over the time it takes to complete your Fox Restoration Project. LRS Is proud to offer a wide variety of OEM Ford Replacement hardware to help you get the job done right. 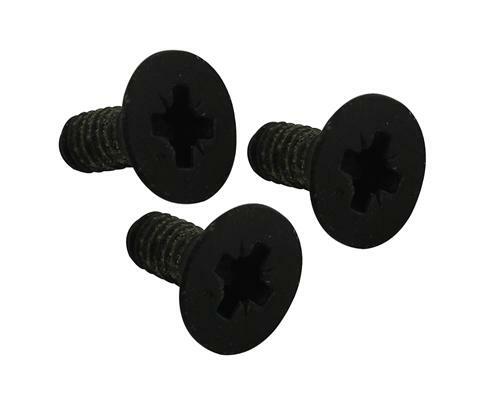 These are the Specific Countersunk head screws that hold the door latch assembly to the door. 1 Kit does 1 Door. -This kit fits OEM latches only.